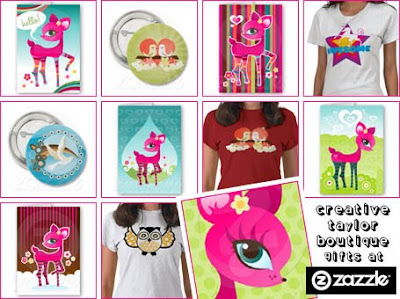 KawaiiPunk - Kawaii Mascot Blog: Creative Taylor’s Beautiful Boutique! As an expert in all things cute, not to mention an incredibly cute expert, I usually like to help girls out by finding sweet gifts and goodies for them to treat themselves to. After all, who doesn’t like a treat now and again? Mainly now, actually! For this post however I’ve decided to help out the boys. For with Valentine’s Day a mere week away I think we can all safely agree that these poor creatures need all the help they can get! No offence boys! Kawaii-o-vision! The Future is Even Cuter! Sick for Cute? Me Too! Kawaii-o-vision! The Future is Cute!